Do you ever feel guilty or inadequate as a parent? Raising children in this era of social media and information at every turn is no easy task. Besides social media and information bombarding you, separation anxiety is a real thing and makes parents feel they are doing something wrong. 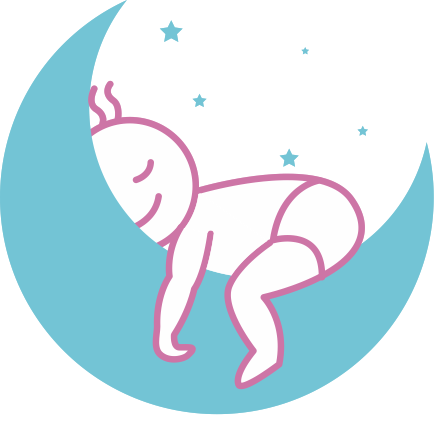 As a sleep consultant, I see these problems on a daily basis from parents whose little ones are not sleeping well. Separation anxiety, the challenging time in a child’s life when they can’t handle being away from Mom, makes a parent wonder, “What can I be doing differently?” Shouldn’t a well-adjusted child feel safe when they are away from their parents for a little while? You hear other parents say their baby plays by herself for hours at a time. Another Mom in your group says her baby is perfectly happy being left with the babysitter for hours at a time or even overnight. A mom at church said her little one takes toys into her room to be alone at times. Remember these two things: Never compare yourself to other parents and do not compare your child to other children. Remember posts on Instagram or Facebook only show situations in the perfect setting. Also, separation anxiety is normal and expected. Children showing nervousness when away from their mom shows a healthy attachment between child and parent. As a baby starts to grasp this concept, they understand that their favorite person (mom) is not there, but they now know that you are somewhere, and you may not be returning. It is a part of life but can be heartbreaking for Mom. It is natural, and a sign that your baby is learning and has a secure attachment to their parents. This milestone can cause chaos when trying to leave the child with a babysitter or at daycare. You are probably wondering, “How do I prevent this from happening?” In all truth, you probably do not want to stop the action entirely. You would not want your child to be completely okay with being left with a stranger. So, we need to keep things at a middle ground. Here are some tips to help your child deal with being away from you for periods of time. An important milestone in your little one’s life is learning about separation and reunion, so refuse to take the path of least resistance and never leave your child with someone. Let them know it is okay if they are upset when you go and always reassure them you will be back. There may be a few tears, and that is also okay. It is an important concept they need to learn. Your child will always follow your cues, so if you never let them out of your sight, they will probably not feel safe if you are not in view. Designate a space where they can explore and play without your direct supervision. It may seem like a small adjustment, but the effect will be huge. When you decide to leave your child for a few hours, leave them with a family friend or family member they have spent time with and trust. Do not be gone more than an hour or so. The first time away is not the time to go to dinner AND a movie. Plan for your sitter to arrive early so you do not have to rush out of the house. As your child sees you interact with the person, it reassures the little one that they are “good people,” they will feel more at ease with them. Do not try and distract your child and then sneak out without telling them goodbye. It seems the right thing to do since usually it is the “goodbye” that causes the strongest reactions. It is essential, however, even though there are a few tears, that your child knows you are being honest with them. Tell them you are leaving, where you are going, and that you will be returning to them. These few tips will remedy the usual fit-throwing when you try to leave the house for a few hours. Be supportive, assertive, calm, and most of all consistent. Before long, your baby will understand the concept of you leaving and returning. Is the fear of you leaving causing problems with your child’s sleep patterns? Through email and phone support, I will create a sleep plan customized for your family to help your child learn skills to sleep through the night. Contact me today at 415.691.1298.